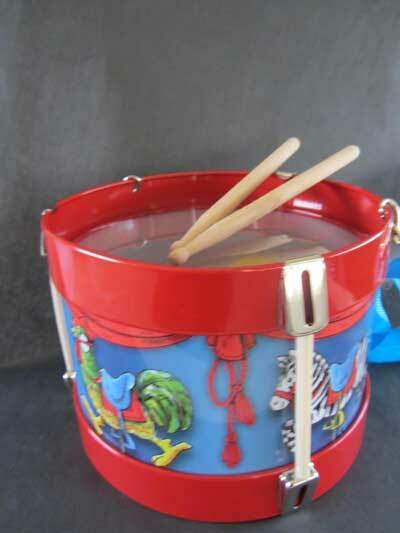 A classic vintage style tin toy drum. The top cover is clear to show 3 coloured balls inside. Comes with a pair of wooden drumsticks and an attachable drum strap. A special gift for a boy or girl.